TOP 10 Tips How to Get Fit FOR FREE! Is Windows 10 The Official Mac Killer? Does your home seem tired and old, in dire need of some refreshing? You are most likely rolling up your sleeves and bracing yourself for a shopping spree. I would prompt you to take a step back and consider another course of action. There are many environmentally savvy ways to renovate a home. They do not just benefit the Mother Nature, but your own health and budget in the long run as well. So, you stand to benefit a lot, especially if you take your time planning. Here are some ideas to help you get the ball rolling with your project. First off, refrain from always buying the newest and shiniest things. Turn a new leaf as a consumer and check out eco-friendly options like reclaimed wood. This material is not only sustainable, but it also brings a ton of organic charm and character to your living environment. Ponder implementing it for countertops, walls, cabinets, and flooring. You may also opt for natural materials like bamboo. This tree is one of the fastest-growing in nature and it is highly eco-friendly. Along the similar lines, think twice before tearing down walls and demolishing what you have. Take a stroll around the household and keep your eyes peeled for everything that can be salvaged or repurposed, be it the old flooring, lighting fixtures, molding or cabinets. What no longer works in one room may find a new purpose in another. This approach is likely to save you a lot of money and decrease your ecological footprint. Also, do not toss what you cannot find a use for— donate or take it to the recycling center. To save a bit more money for bigger improvements, you can re-face rather than replace some surfaces. For instance, cabinets are one of the largest kitchen renovation expenses. Buying new ones could take a big chunk of the budget, which cannot be said about simply applying a fresh coat of paint to them. New doors, hardware, and drawers are also cost-effective updates worth your while. And speaking of paint, you want to opt for products that do not contain toxic substances like volatile organic compounds (VOCs). Furthermore, tap into water conversation. Low-flow shower heads and aerators are one of the most affordable upgrades you can make. Moreover, feel free to invest a bit more in a low-flush toilet or a Water Sense-rated dishwasher. 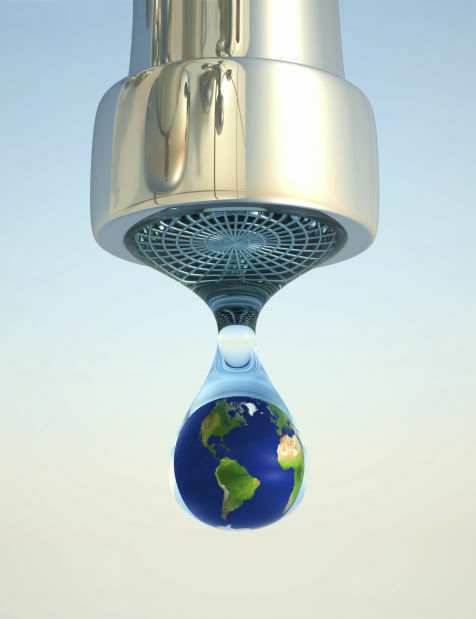 Inspect the plumbing system and fix problems such as leaky faucets. Preserve your good health in the process and check water quality. Do away with any contaminants with the help of cutting-edge solutions like innovative UV water treatment systems and purifiers. Finally, make strides towards higher energy efficiency. You can do an energy audit to figure out where the room for improvement is the greatest. It is probably a good idea to shop around for new appliances. You can focus first on the most notorious vampires like refrigerators and dishwashers. Note that it is always a safe bet to look for ENERGY STAR-certified products that tend to save a ton of money long-term. While at it, I would also replace old lighting fittings with long-lasting, energy-efficient LED bulbs. You might be eager to jump into renovation, but hold your horses. Take a look at what you have before buying anything new. Give your old stuff a new lease of life. Buy reclaimed and repurpose as much as you can. Evaluate the energy-efficiency of your home and integrate green solutions. Cut back at water use. Try to accommodate your wants and needs better and bolster your eco-friendly credentials at the same time. Yes, green upgrades may seem expensive upfront and some of them are. Yet, you should focus on opulent benefits that wait for you down the path.